This is the first chapter in a new story. 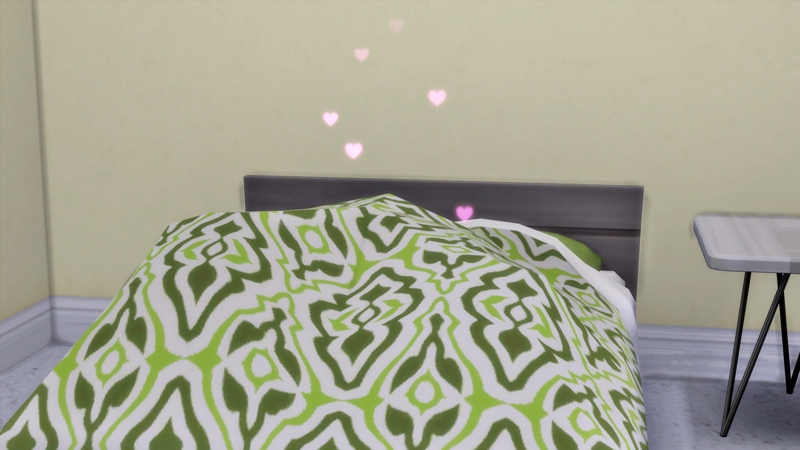 You will meet some new Sims, and we will explore their lives, their dreams, and yes, their drama. First, I’d like to introduce you to Darryl Cross. 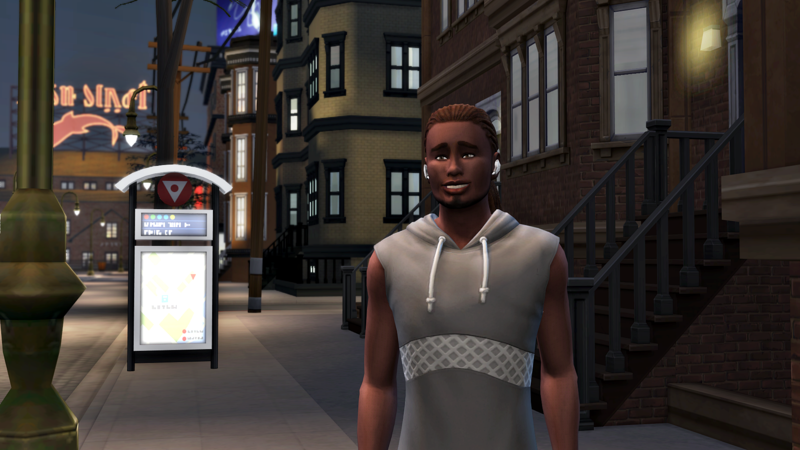 He was born and raised in San Myshuno, a real city boy. He left for University because he had dreams of becoming a Doctor. 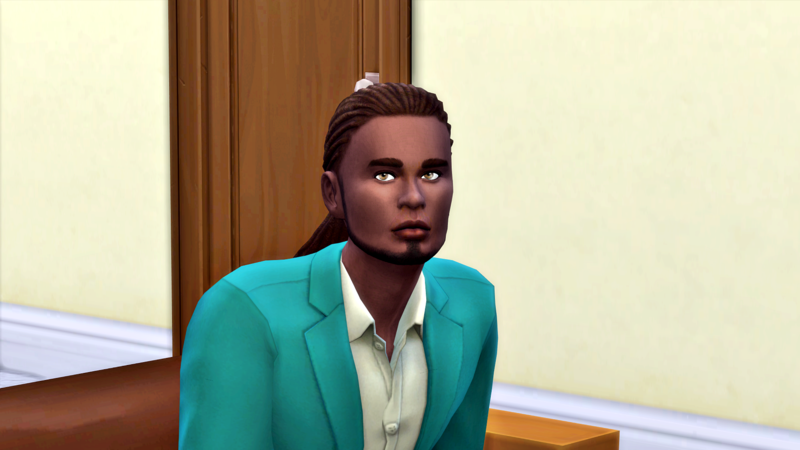 But now he’s back in the city, and he’s ready to start his career as a medial intern. His family moved out to the country, but that was never an option for him. So now he’s on his own, re-learning the city he’s loved his whole life. Well, he’s not completely alone. There is also Miss Kitty. She really loves Darryl. Hopefully she also loves whoever else comes into his life. So these two are young and in the city, ready for adventure. Darryl knows the best way to make friends is to setup a club for meetups. But first he must meet new people and see who would be a good fit for his club. The easiest thing to do is meet the neighbors. He knew it was a older building, and the neighbors were nice, but Geeta Rasoya wasn’t exactly who he had in mind for his club. Darryl was still open to the neighborly bond he was already forming with Geeta and her son Raj. Until he found his tribe, they were great company. Did I mention that Darryl considers himself a serial romantic? 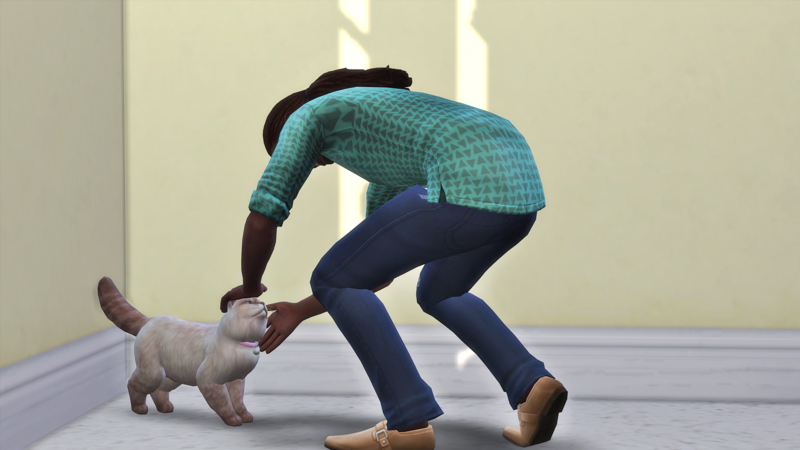 A little casual woohoo with the neighbor never hurt anyone, right? Geeta wore him out. Miss Kitty isn’t judging though. When Darryl wasn’t blurring lines in his neighborly relationships, he was getting settled in at his new job. He really liked his new co-workers, especially Dr. Irwin. He was excited for the chance to get to put all his university learning into practice. 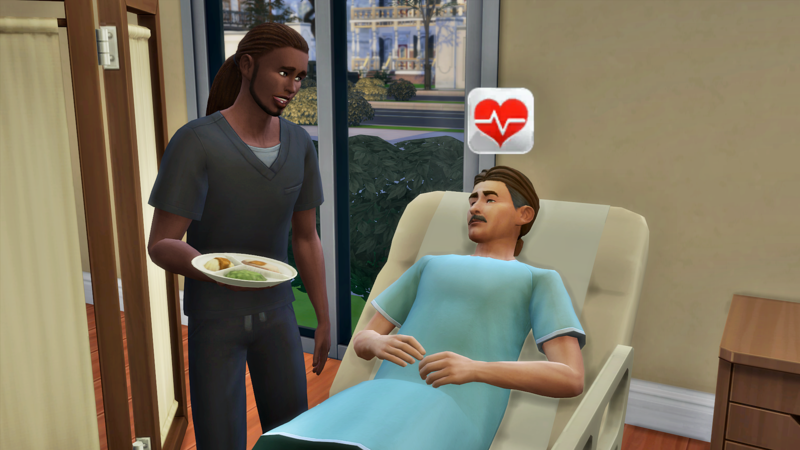 He didn’t really get to do much the first day, mostly just learning the hospital and bringing food to patients. 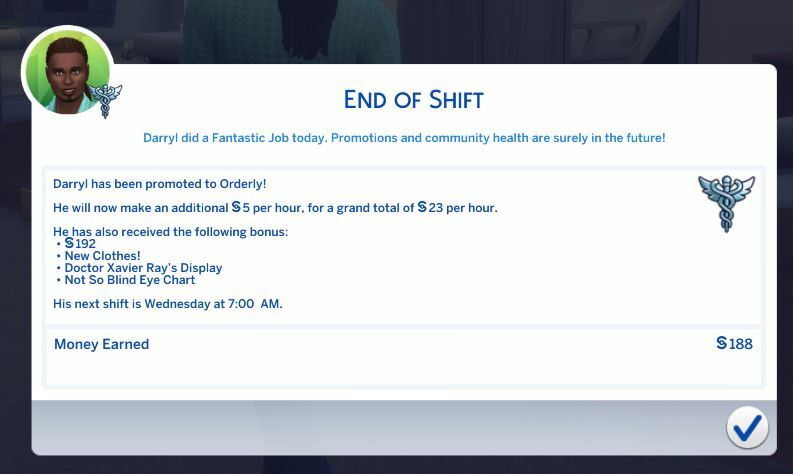 After a successful first day of work, Darryl decided to go for a run. And if he happened to meet some age appropriate new friends while he was enjoying the cool spring night air, that would be a nice bonus. As soon as he started running, it started raining. 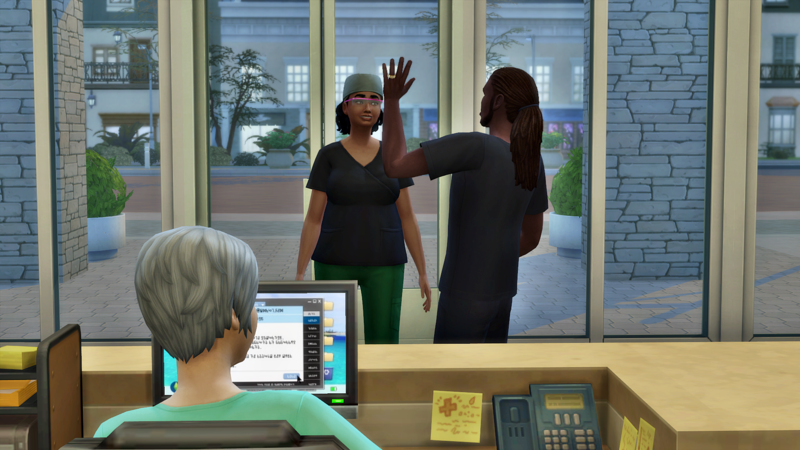 All the Sims had their umbrellas out, huddled against the cool droplets. All except one. Darryl stopped in his tracks at the sight of her. She. Was. Beautiful. But he couldn’t get her attention because she was focused only on the sounds of her instrument. So he stopped to watch her play. The jog could wait. How she made such beautiful sounds come out of such a crappy instrument, he could not guess. Eventually, the cold and the rain got to them both, so Darryl invited her back up to his apartment. 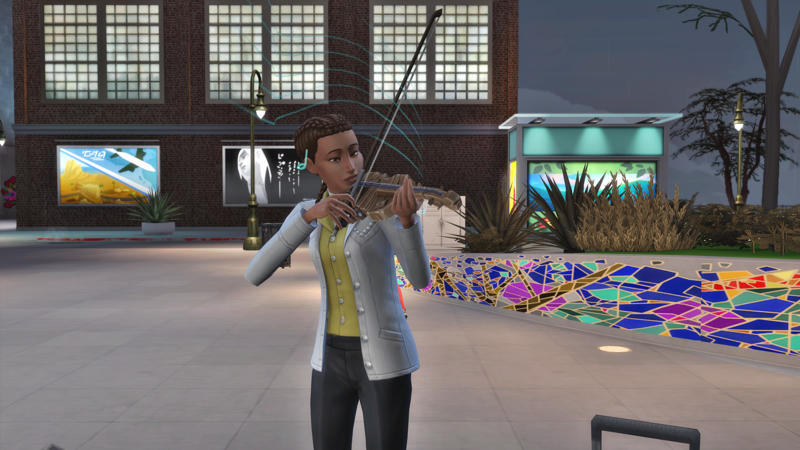 He was excited to see if Alice Martin was as interesting to get to know as she was to watch play the violin. 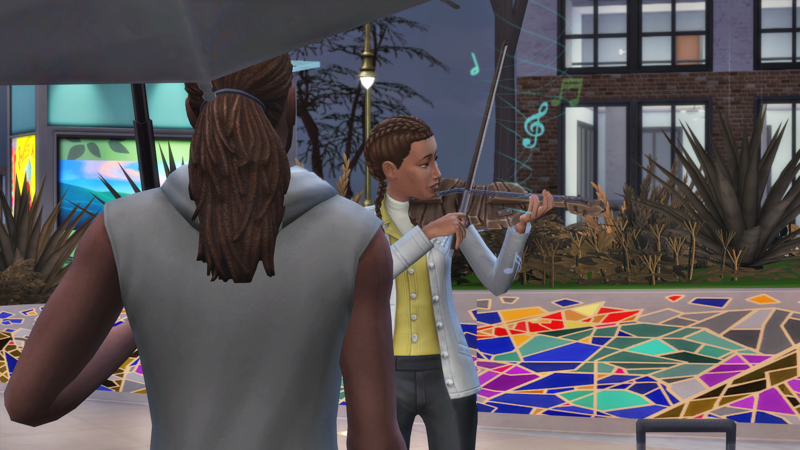 Darryl quickly found out that Alice was single (insert pick-up line), unemployed (that explains the crappy violin), and a bookworm (she might appreciate a secret nerd like Darryl). When he made his move, Alice was quite responsive. Oh yes, Darryl was really going to enjoy being back in the city. Alice was great, and he was happy when she agreed to a date later in the week. But Darryl was still on the lookout for club members. 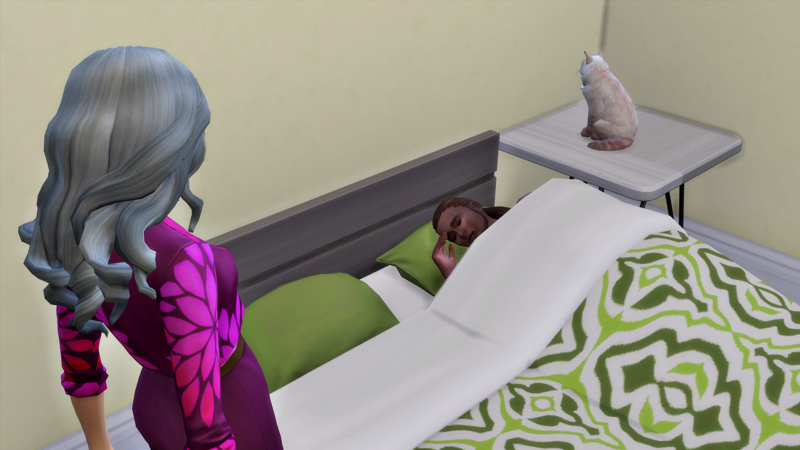 So far he’d learned that he wanted them in his same age range, and he wanted them employed. Hopefully that wouldn’t be too hard to find. 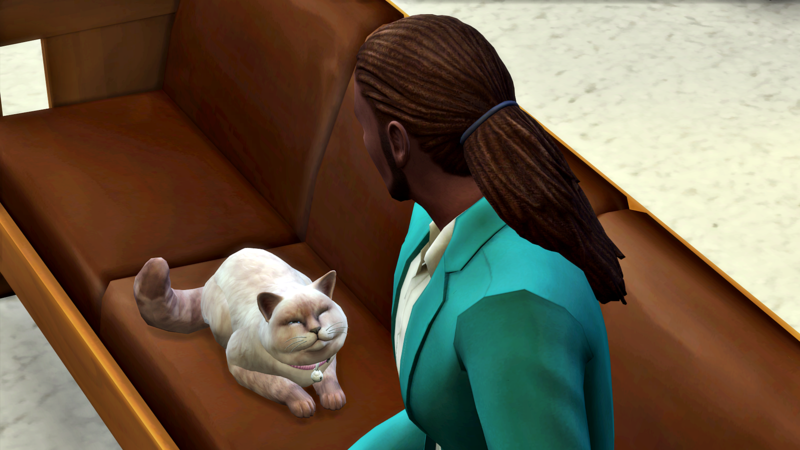 In the meantime, he would keep working hard, earning promotions, and spending time with Miss Kitty. 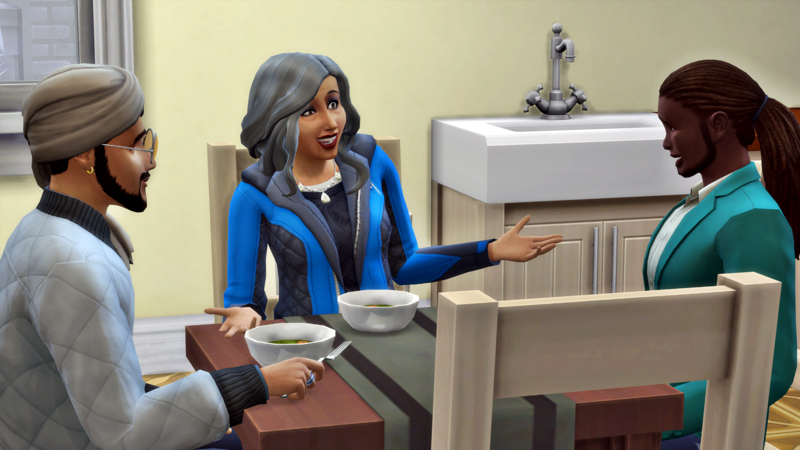 Next post1.02: Meet the Friedman Family! So happy you are back and have time now to enjoy playing and writing. Daryl is a cutie and I can’t be,ieve he hoped into bed with Geeta! Thatbhad ne cracking up. Much better with Alice. He’s a fast worker though! 😂😂😂. I can see much drama from him with potential many FWBs. More like making time, haha. My class schedule structure is changing, so I can make some executive decisions. I enjoyed getting to know Darryl, and I cannot wait for the rest. Him and Geeta are such good friends so far, it will be interesting see if they do more romantic stuff. But I have more hope for Alice. 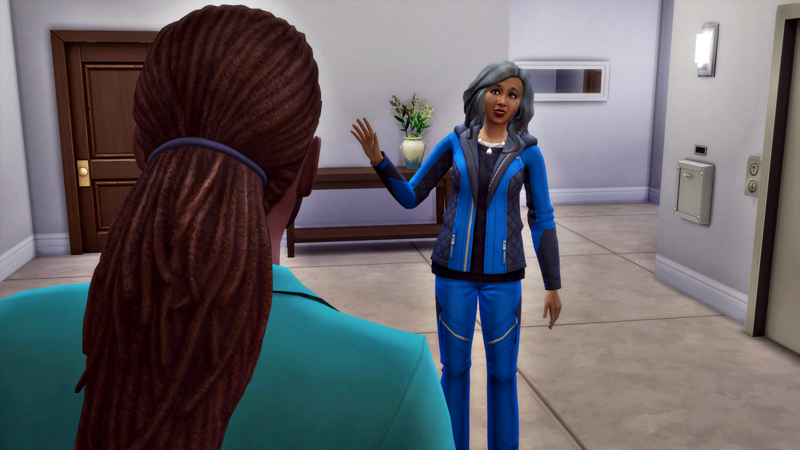 Plus her involvement might bring some Strangerville elements into the story, which I wouldn’t mind. Reboot is happening! I love it! Yes! The new folks will be making their debut. Or is it debuts??? Either way, the reboot is official now that there’s Darryl, and soon we’ll meet his new friends.